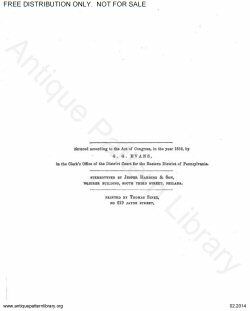 Philadelphia, G.G. 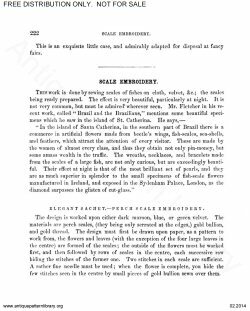 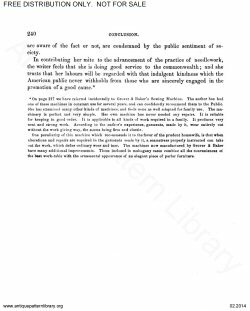 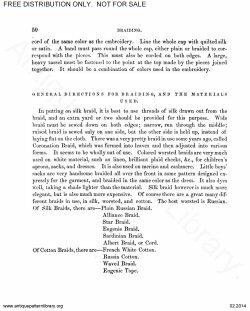 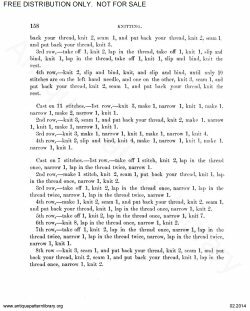 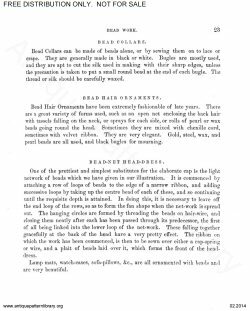 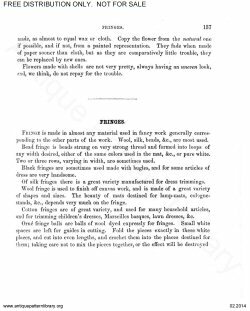 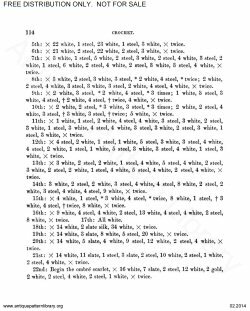 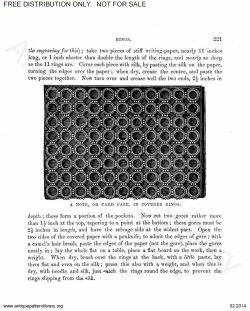 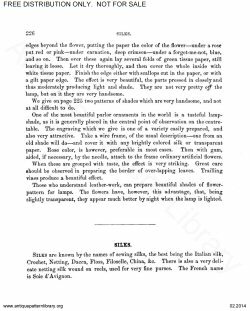 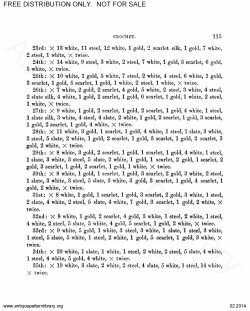 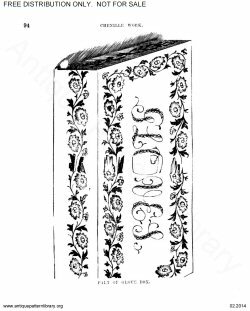 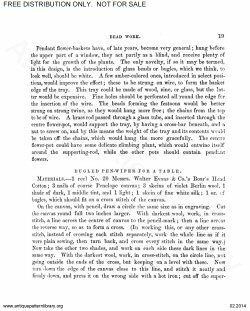 Evans, 1860, 240 pgs. 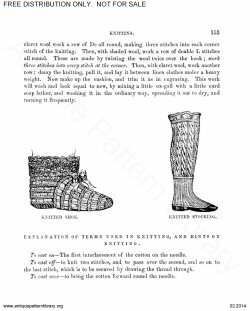 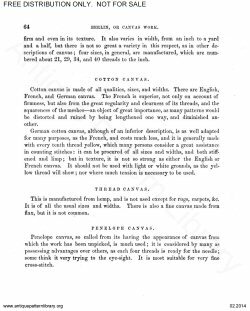 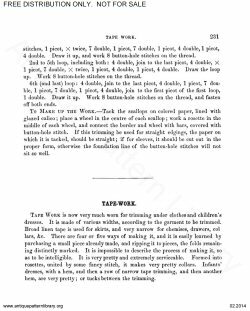 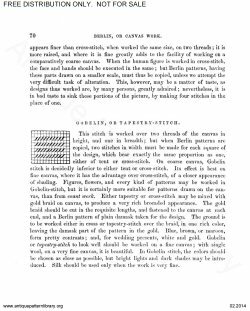 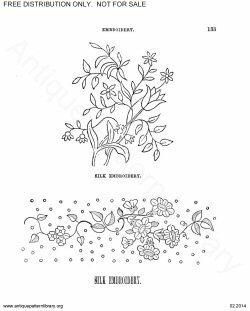 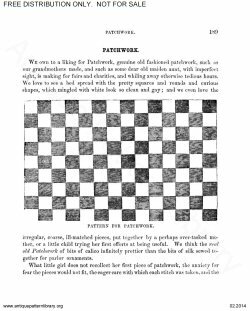 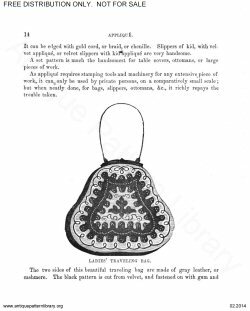 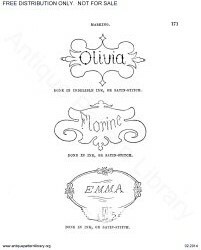 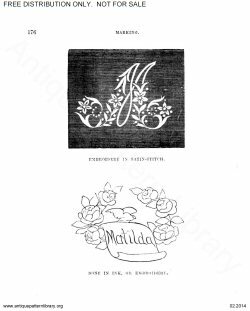 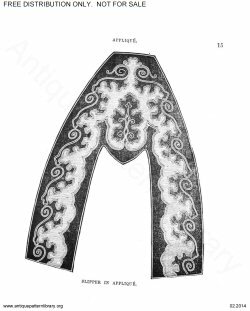 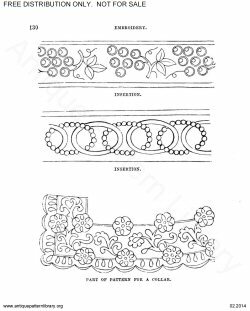 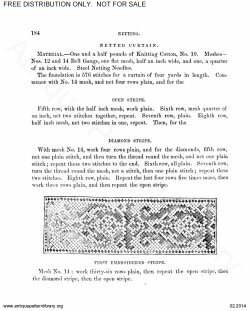 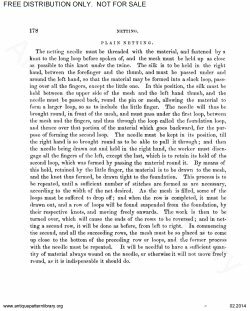 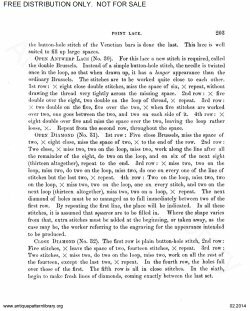 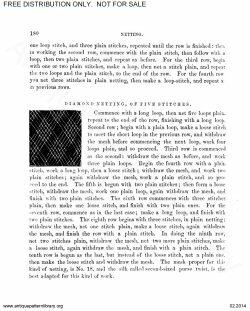 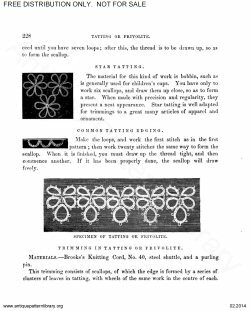 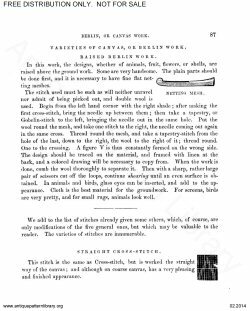 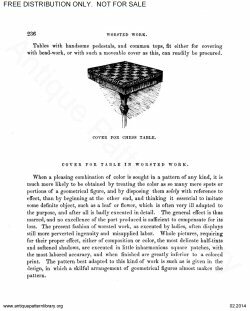 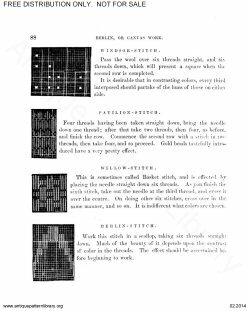 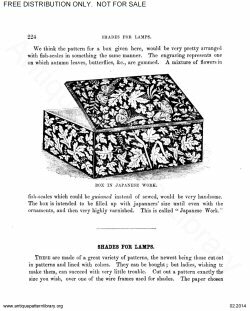 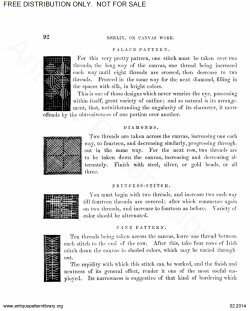 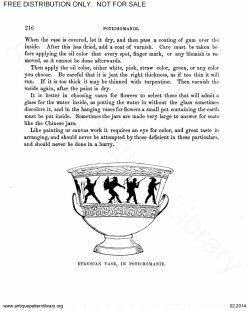 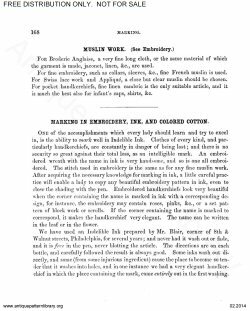 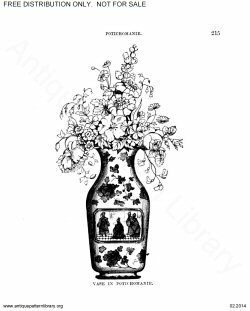 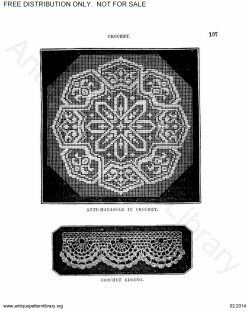 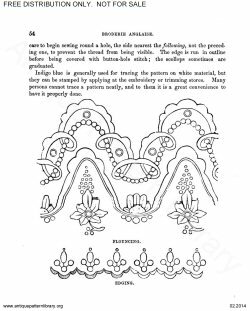 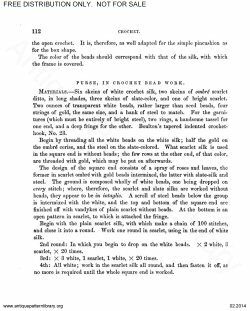 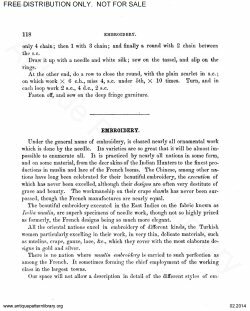 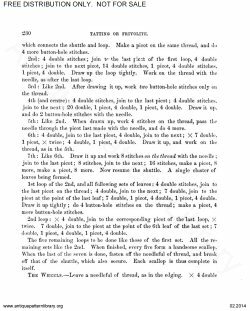 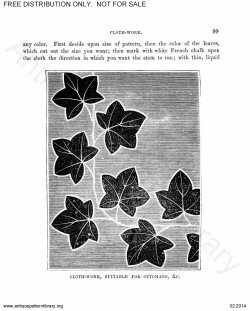 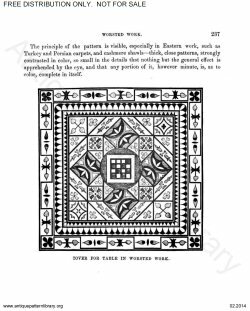 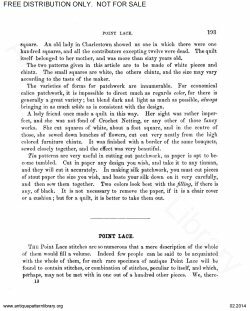 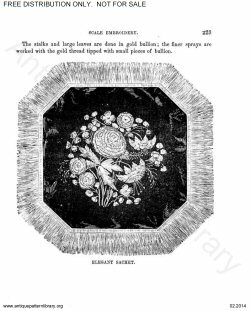 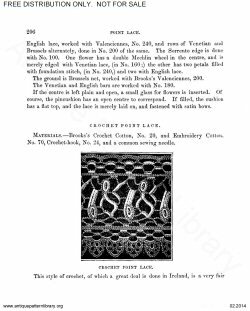 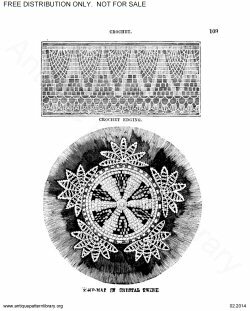 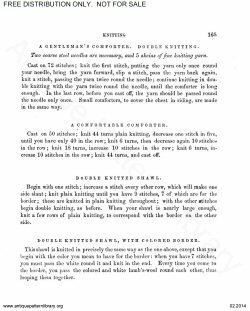 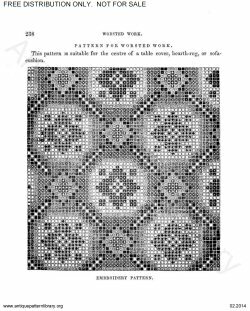 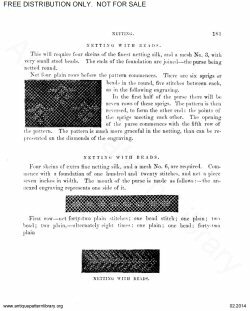 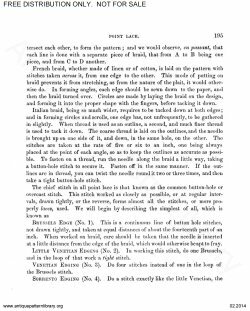 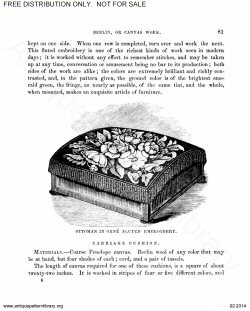 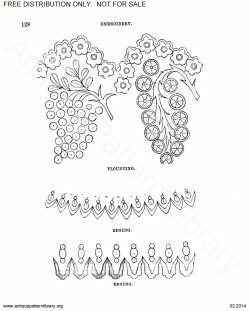 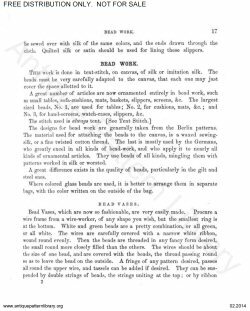 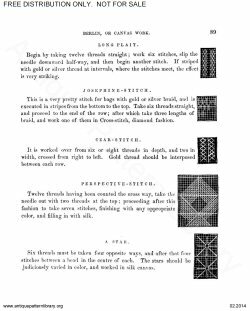 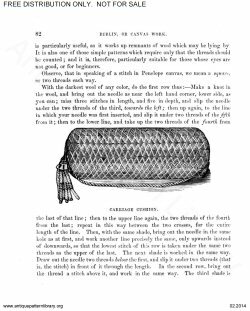 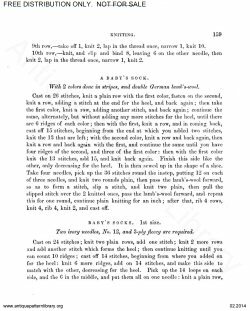 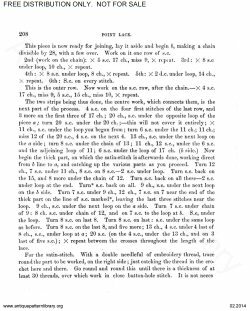 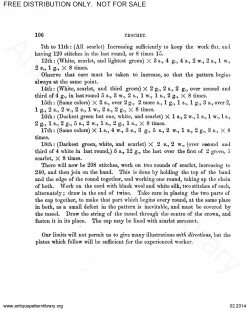 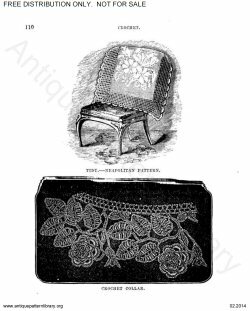 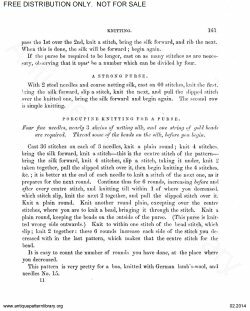 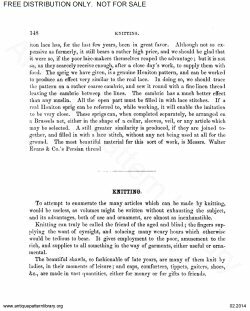 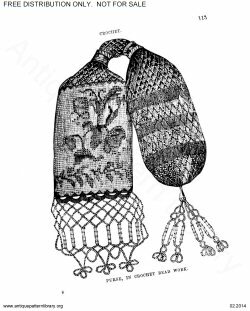 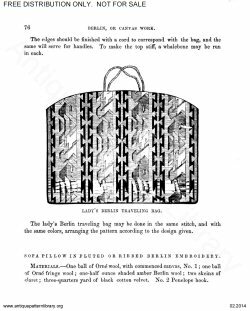 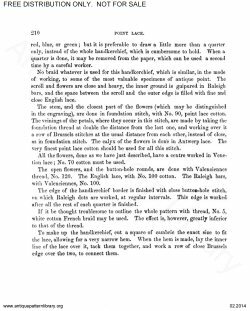 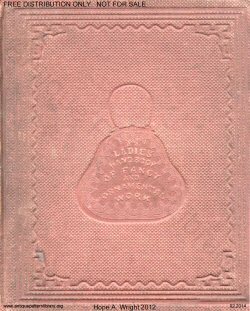 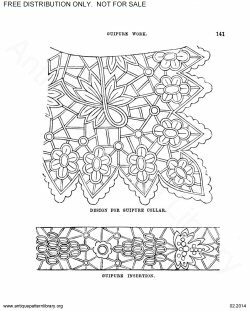 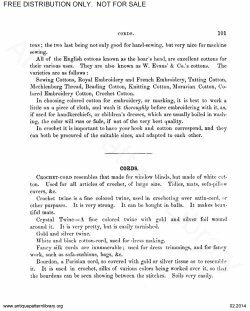 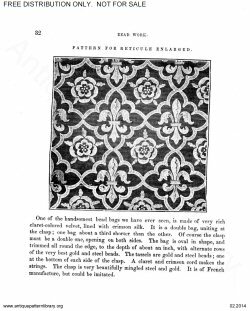 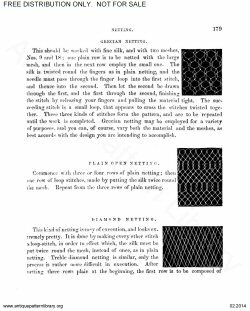 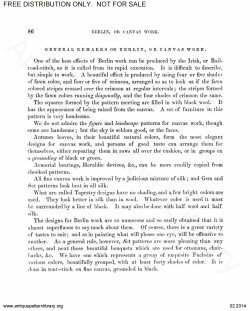 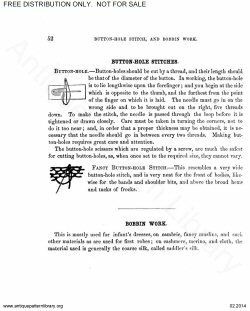 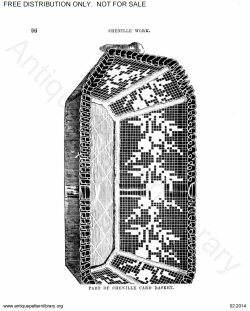 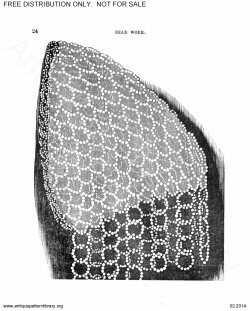 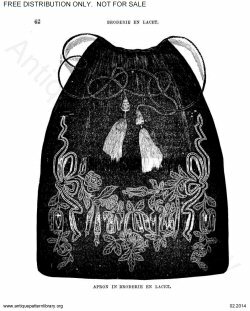 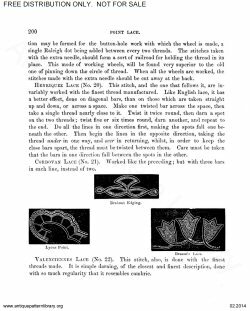 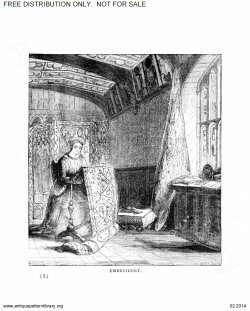 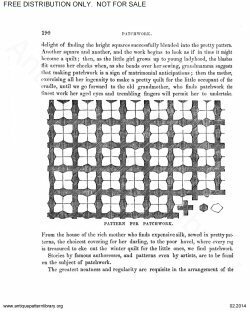 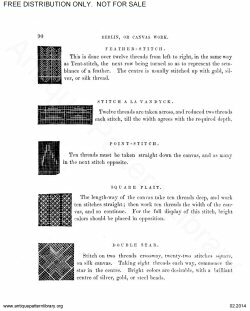 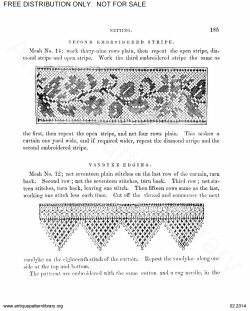 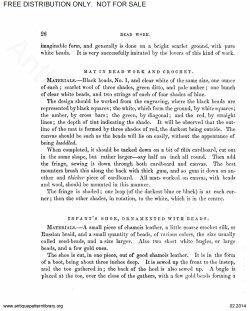 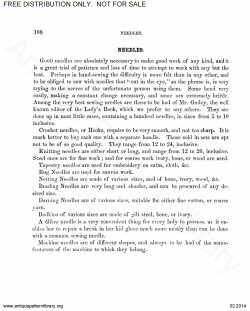 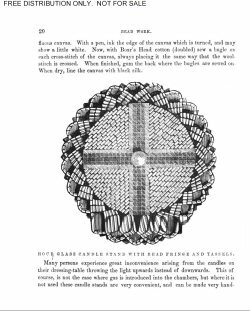 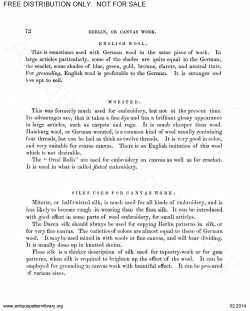 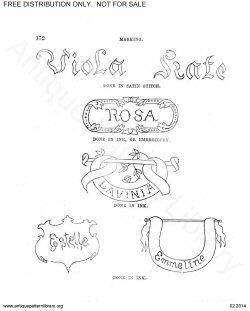 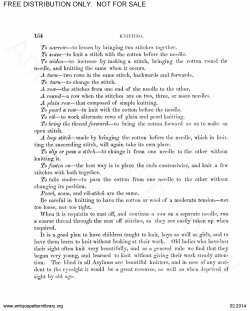 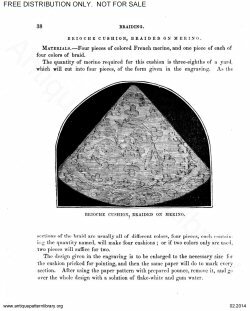 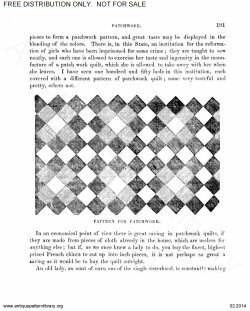 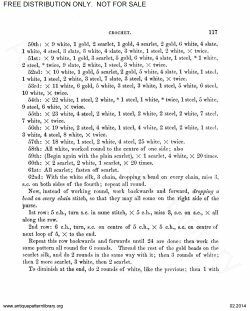 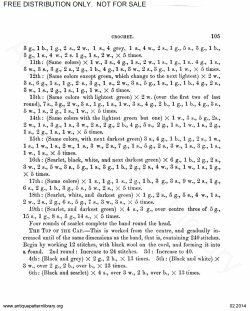 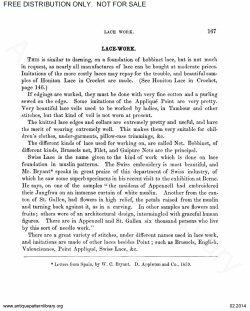 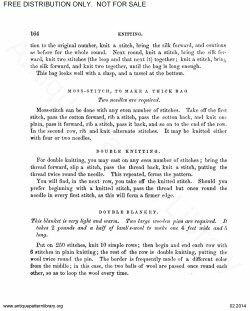 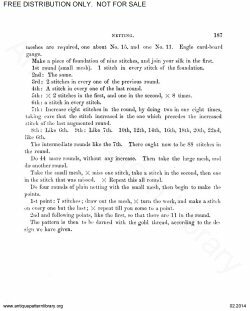 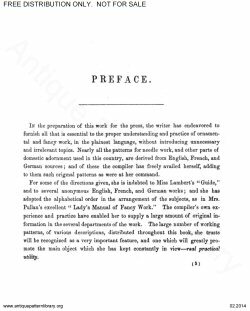 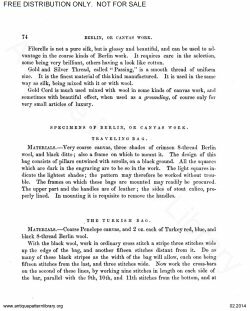 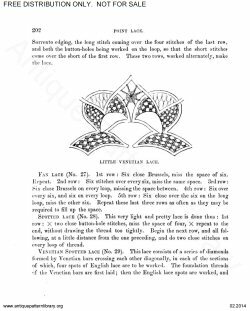 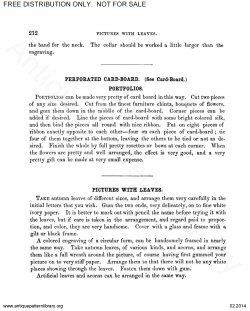 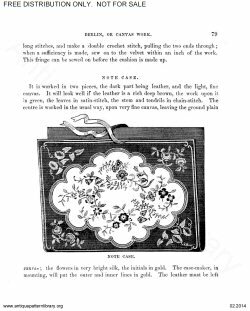 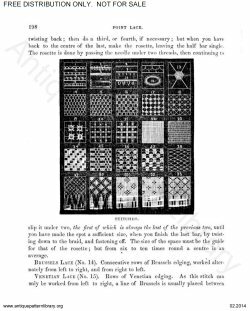 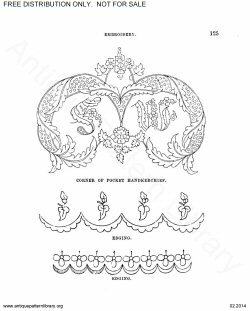 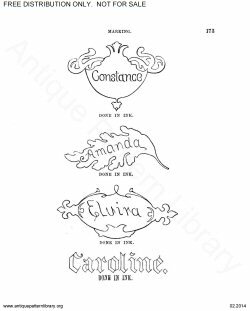 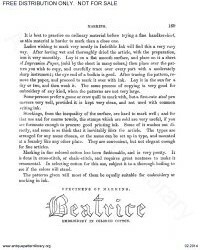 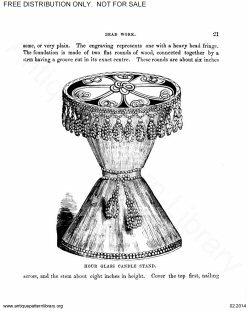 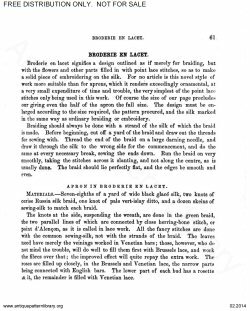 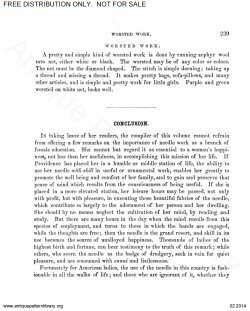 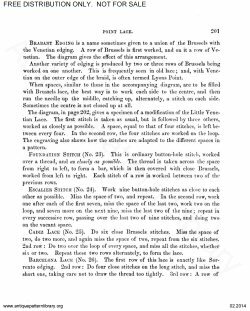 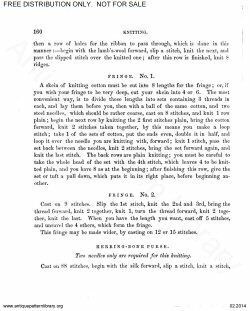 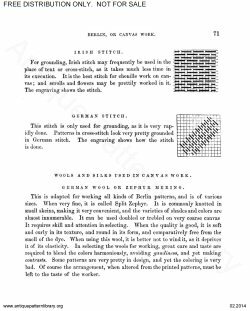 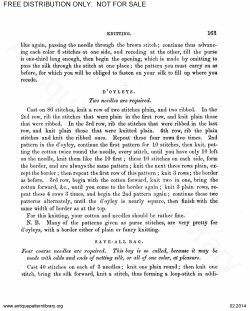 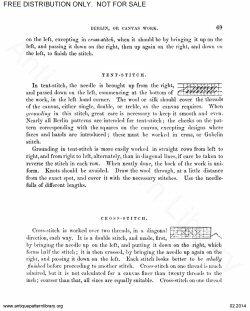 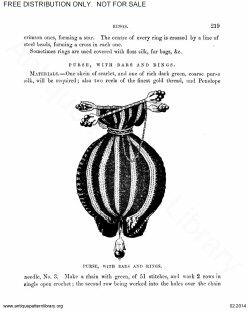 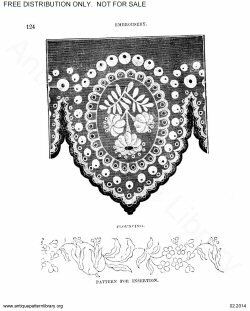 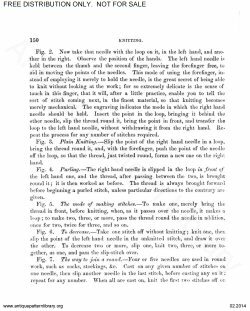 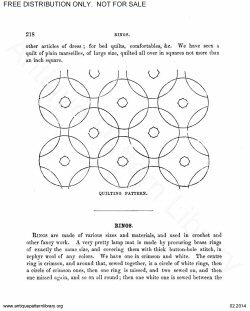 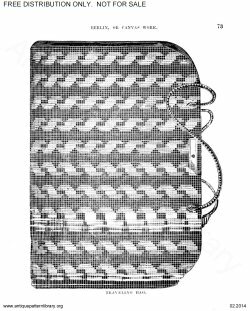 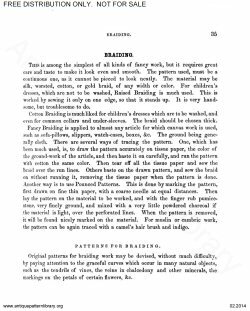 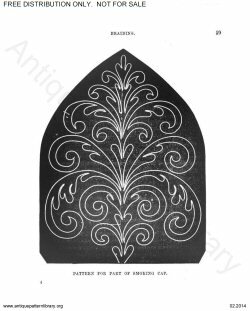 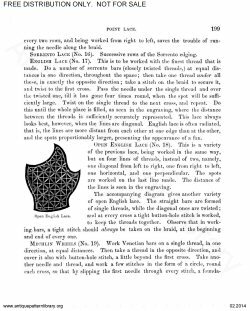 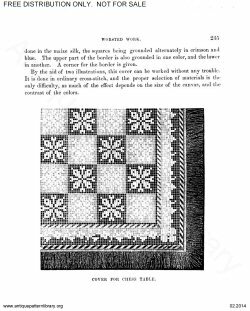 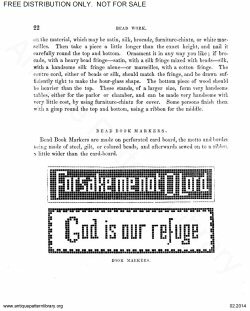 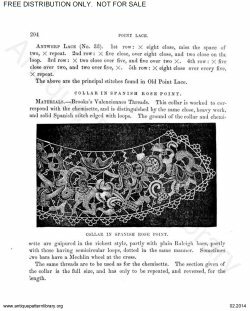 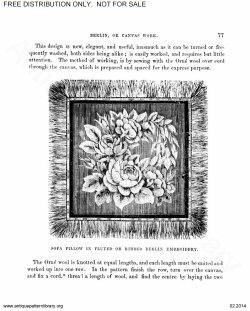 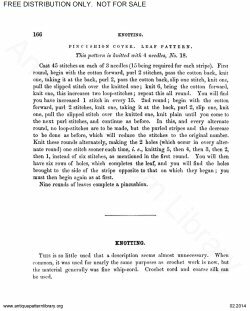 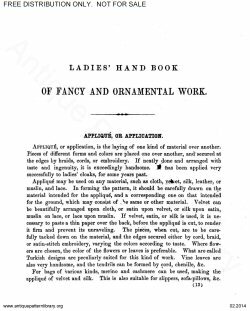 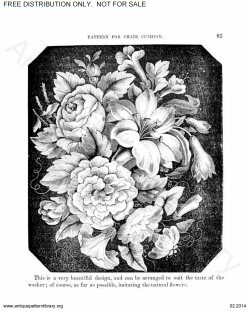 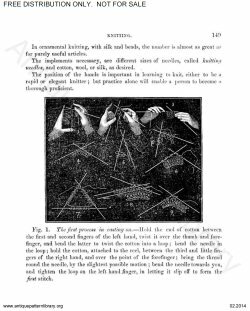 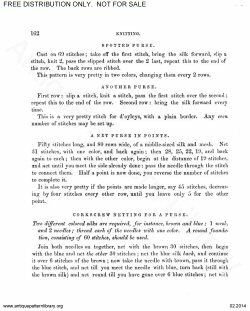 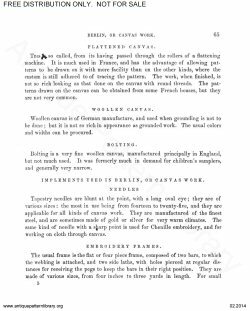 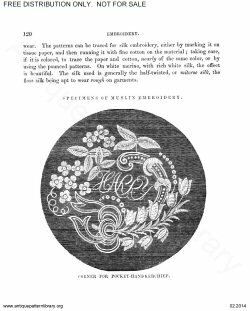 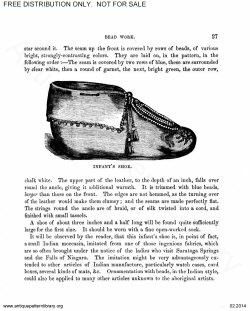 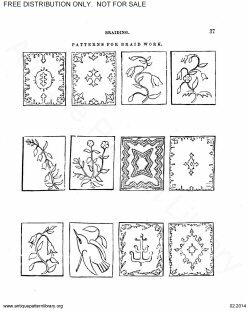 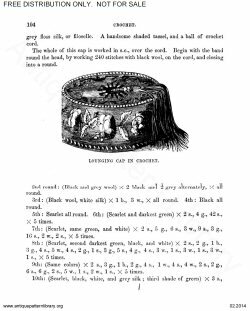 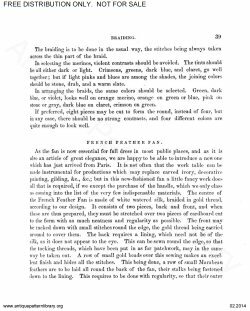 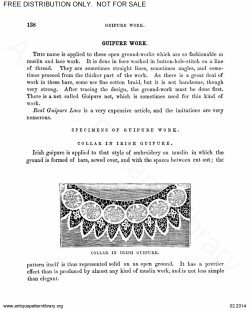 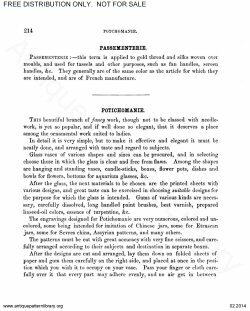 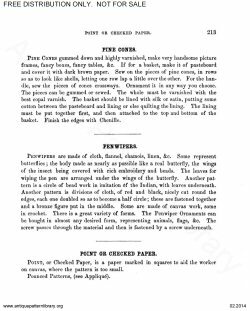 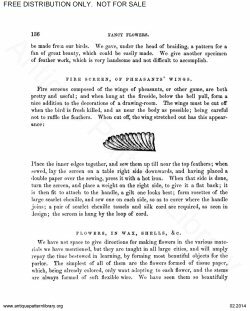 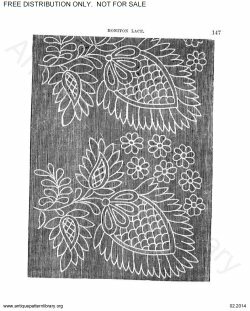 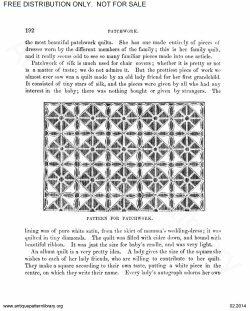 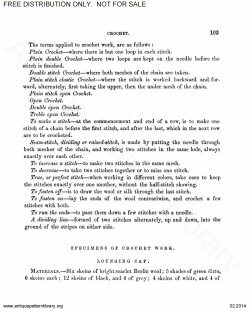 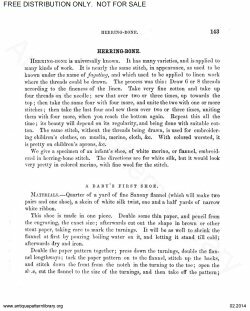 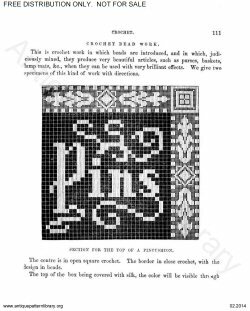 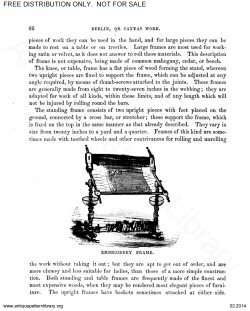 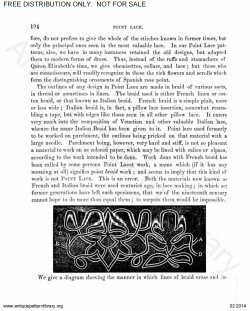 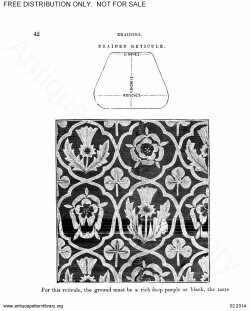 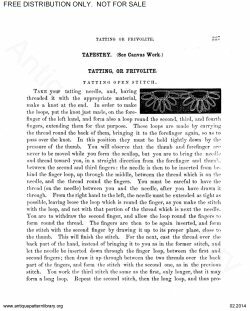 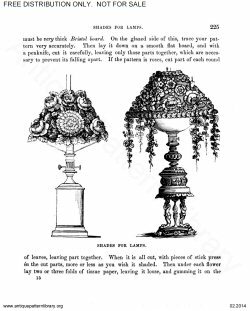 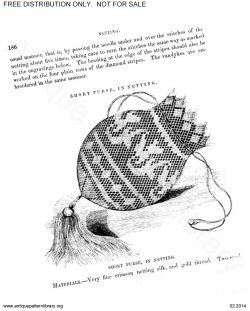 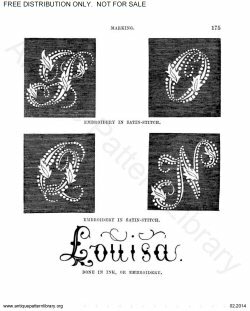 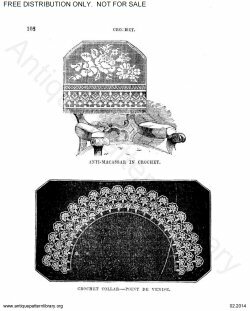 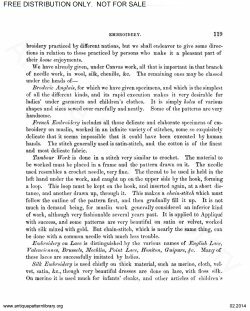 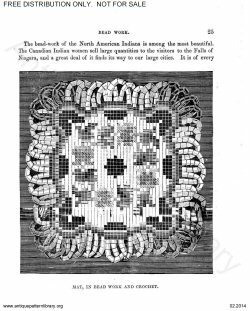 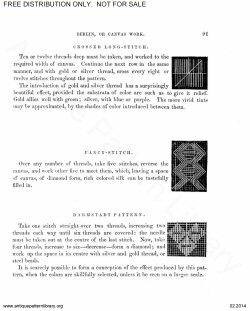 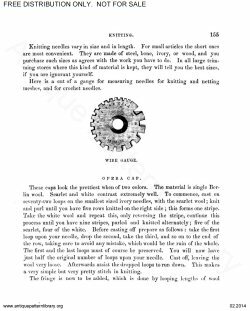 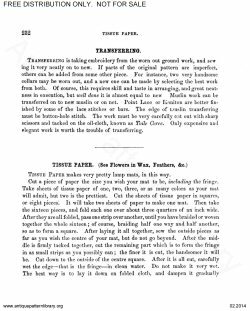 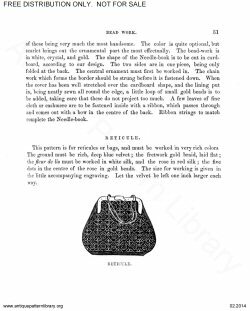 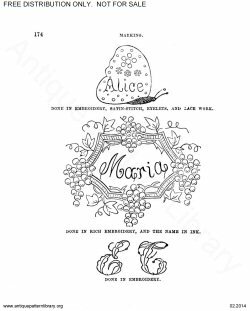 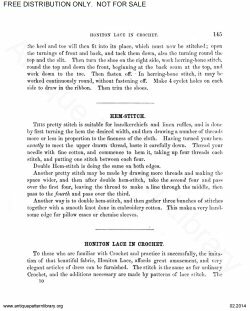 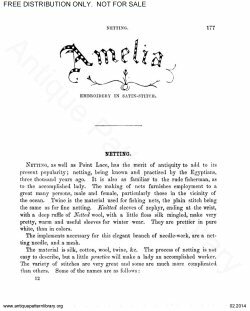 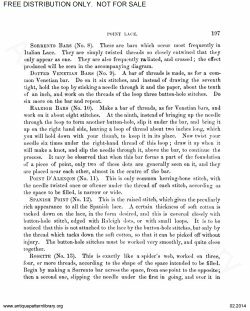 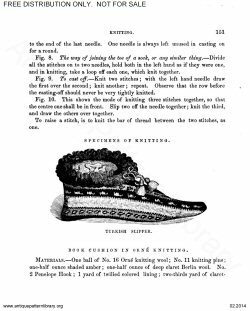 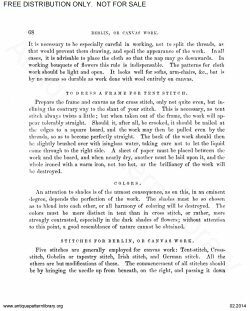 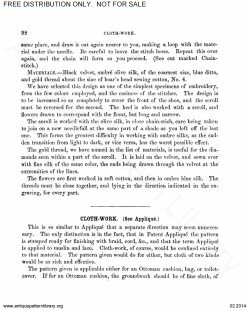 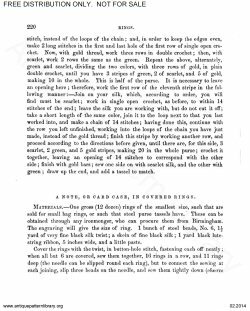 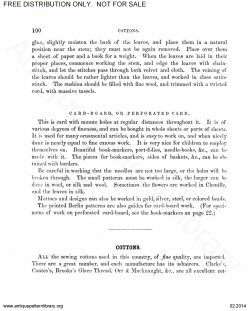 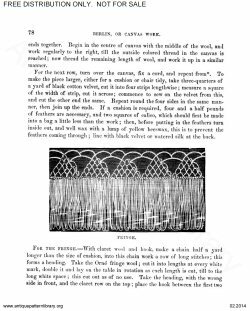 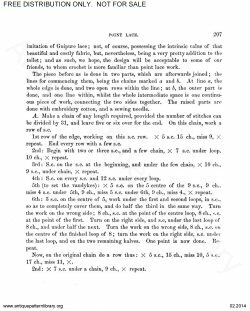 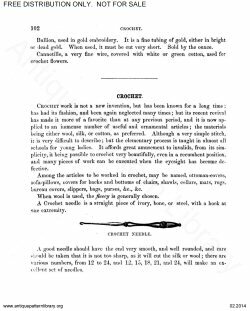 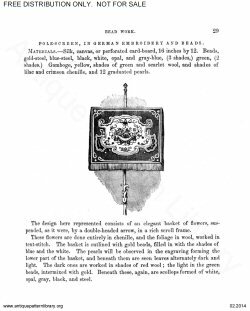 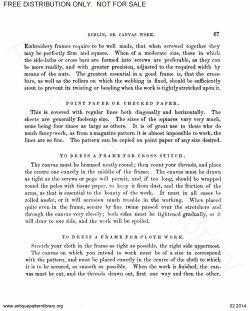 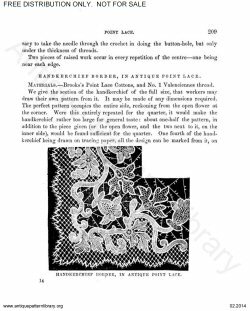 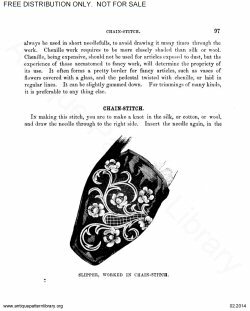 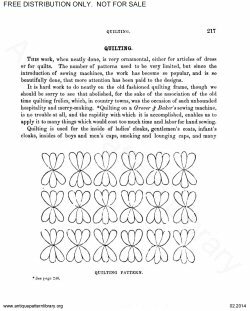 1860 needlework and crafts omibus. 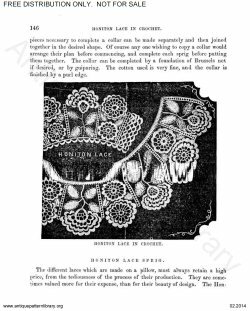 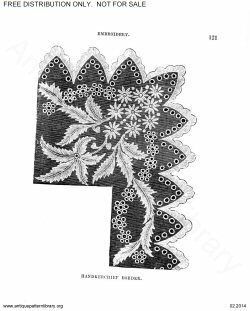 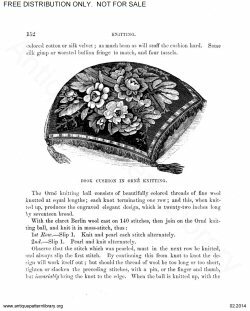 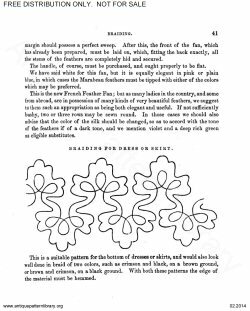 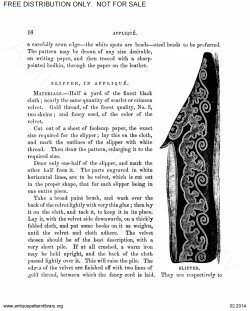 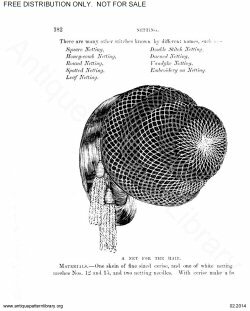 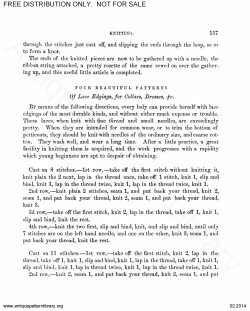 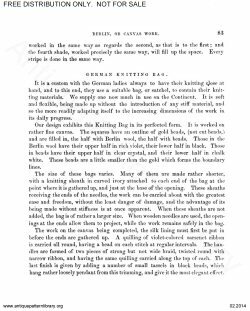 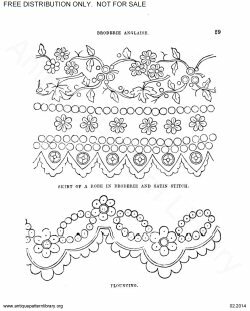 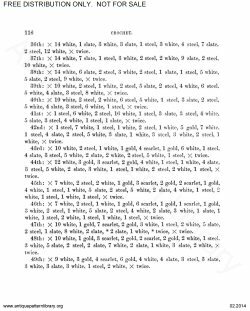 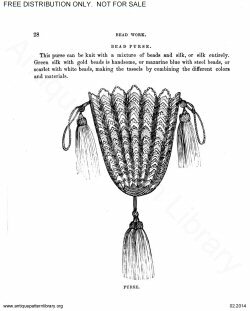 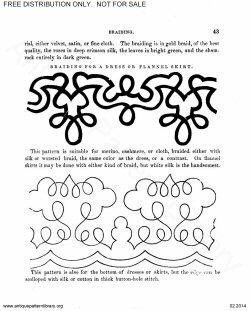 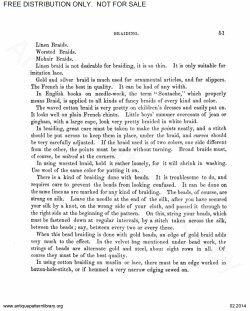 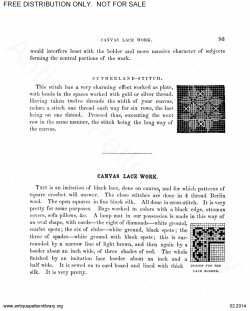 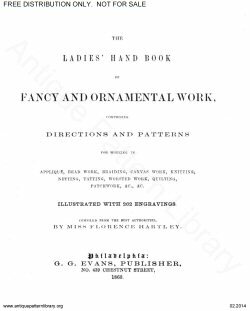 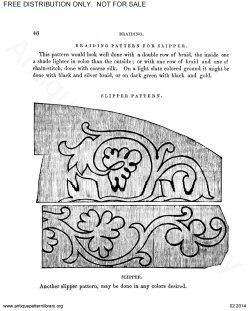 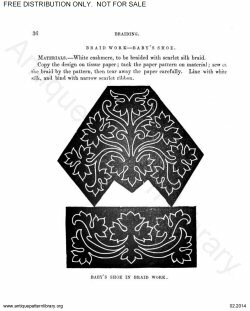 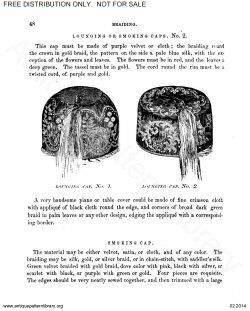 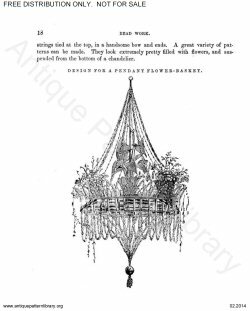 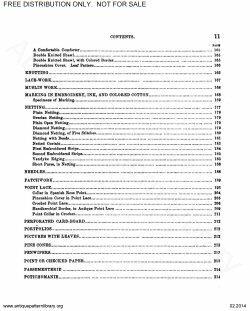 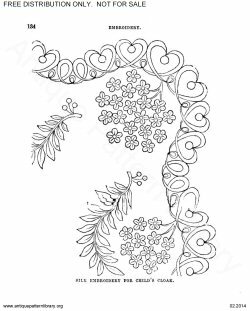 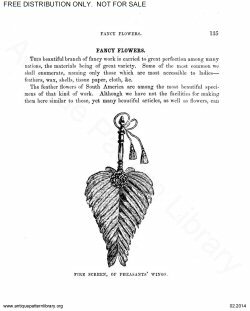 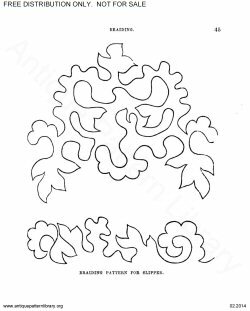 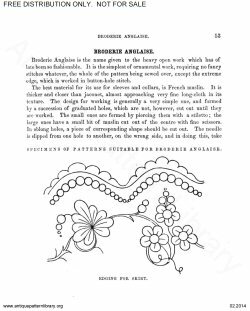 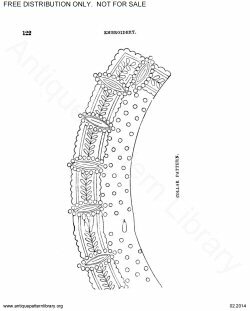 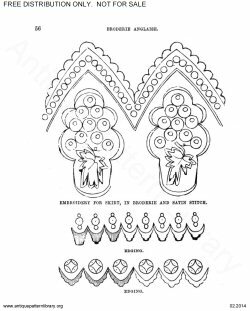 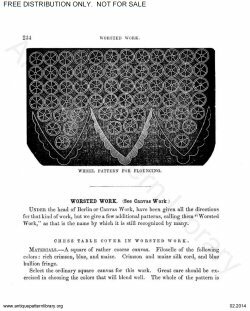 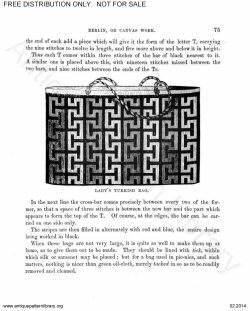 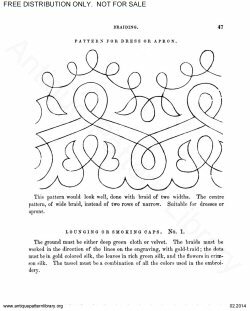 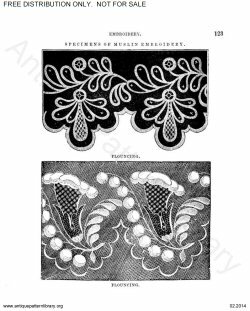 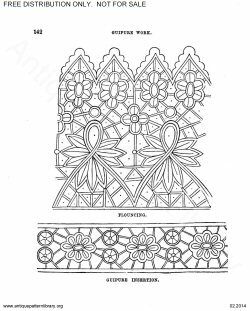 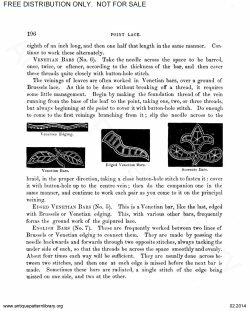 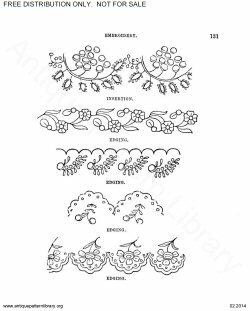 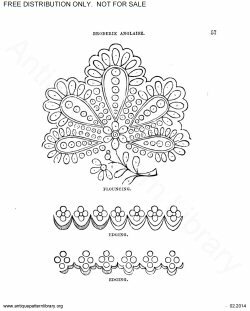 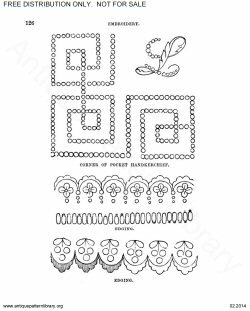 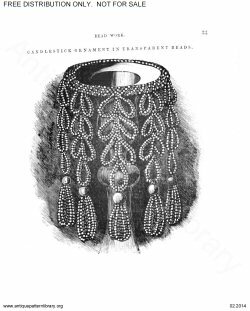 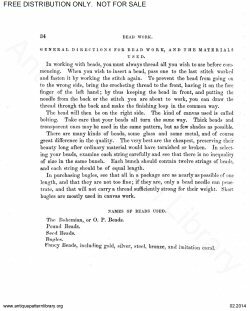 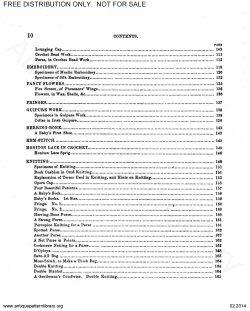 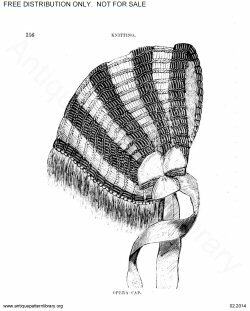 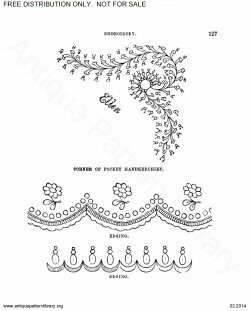 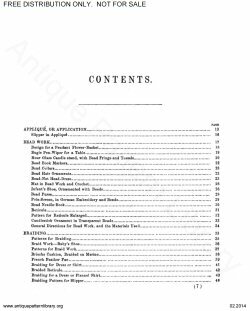 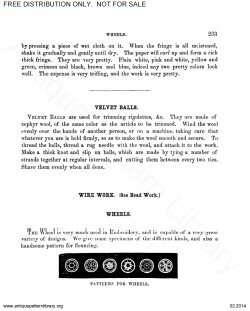 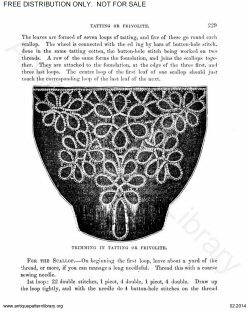 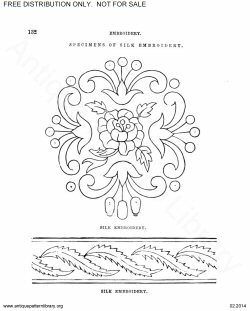 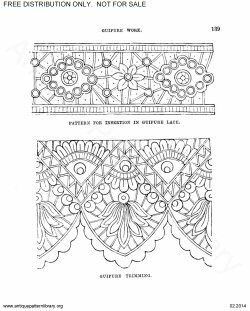 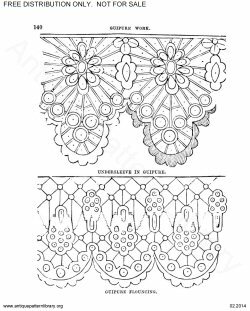 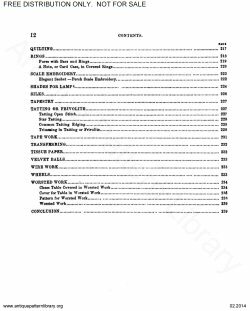 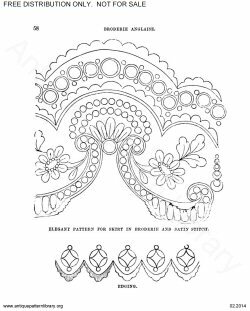 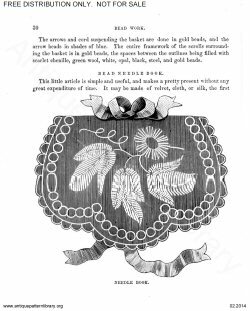 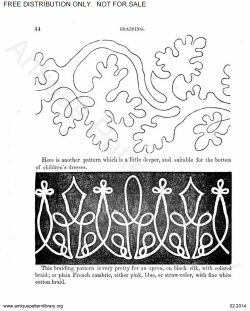 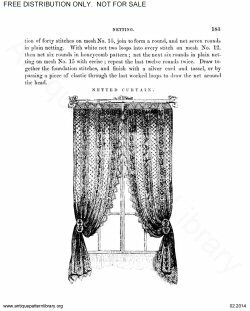 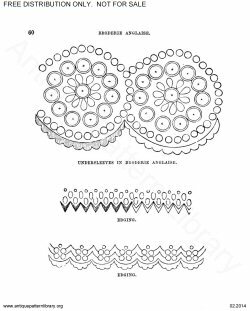 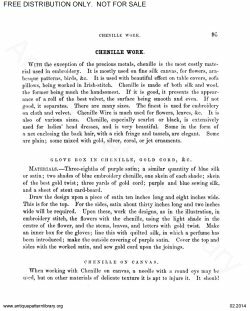 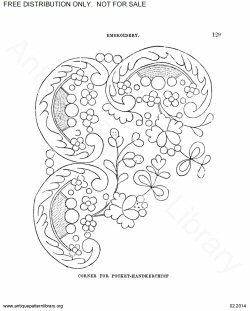 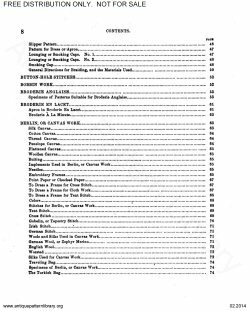 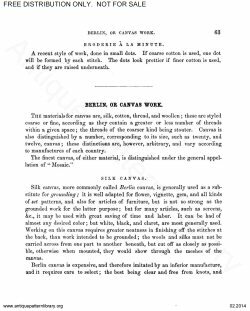 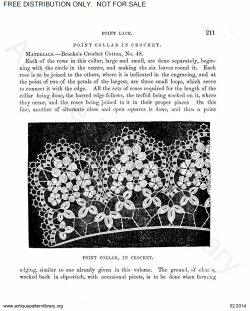 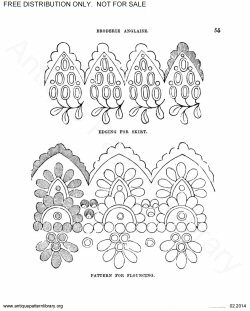 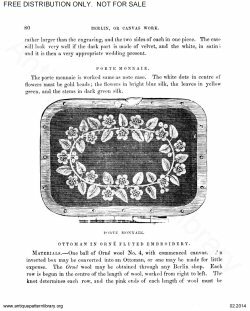 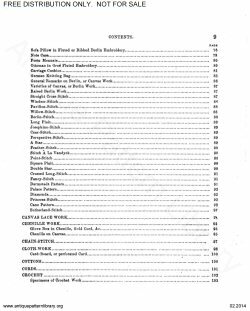 About 240 pages, includes braiding (applied ribbons or soutache+E16), Berlin woolwork, broderie anglaise, beadwork, crochet, silk embroidery, guipre cutwork, flower-making, knitting, netting, point lace, tatting, patchwork, point lace, (needle lace), worsted work (wool embroidery) and much more. 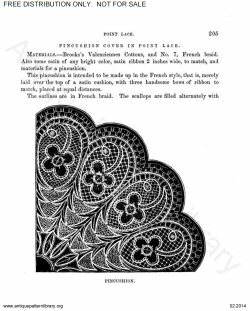 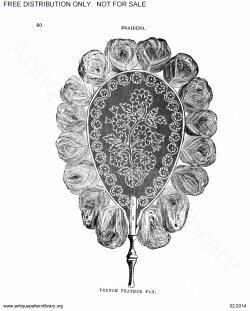 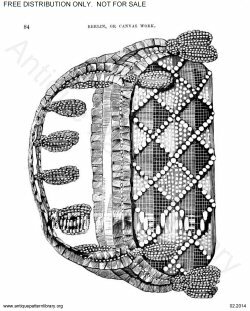 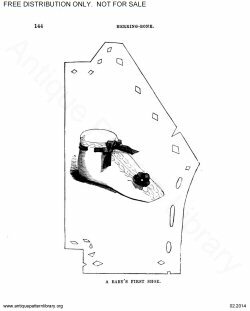 Oddities include fish scale embroidery, feather work,and Potichomaine (decoupage on glass). 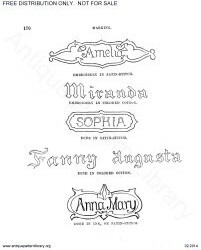 Scans donated by Hope Wright, edited by Hope Wright and Judith Adele.